Barnyard in Your Backyard: A Beginner’s Guide to Raising Cattle, Horses, Sheep, Poultry, Swine! You get everything you need to understand livestock and poultry care. Nothing, absolutely nothing, is left out. [YES] Can edit the contents. [YES] Can sell and keep all the profits. [YES] Can be added into a paid package. [YES] Can be used as a PDF report or E-Book and collect leads for opt-in. [YES] Can sell with Basic or Master Resell Rights. [YES] Can be used with personal use rights. [NO] Can give away Private Label Rights for free. [NO] Can add the Private Label Rights into a free site or membership. 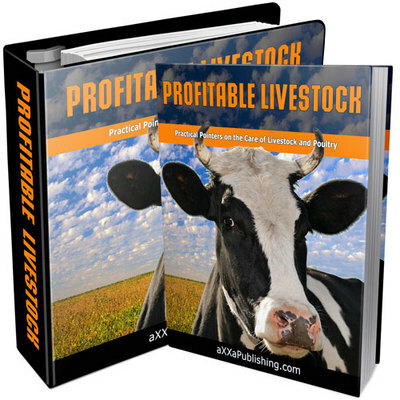 New Profitable Livestock (PLR) (Hot eBooks) business;livestock breed;pets;selling 150107686 4.99 izzuwanadnan Fresh Download Available!